Welcome to French Quarter. We have an optimized screen reader version of this site available. The home of your dreams is waiting for you at French Quarter. We are an amazing apartment home community located within walking distance of great schools, delicious dining, and abundant shopping locales. With State Route 79 so close by, your commute will be a breeze. Come and see what Jacksonville, Texas has to offer. We have carefully designed our seven floor plans with your convenience in mind. Our one and two bedroom homes feature amenities such as central air and heating, breakfast bars, and all-electric kitchens. Select homes have cozy wood-burning fireplaces. Your pets are sure to love French Quarter as much as you. At French Quarter, we are delighted to provide our residents with an atmosphere of comfort and relaxation. 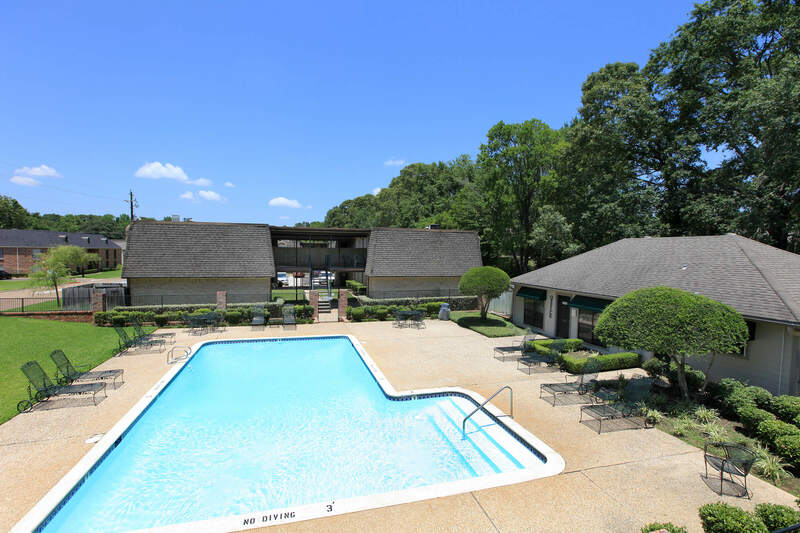 Cool off in our shimmering swimming pool, take a stroll and enjoy our beautiful landscaping, or finish your daily chores with the help of our laundry facility. Visit your favorite websites with our high-speed internet access. Call our friendly staff and schedule your personal tour today.